Anyway, I was hooked. I managed to play in a campaign through graduation, and then when I got to college, I joined the gaming club as soon as I could. There was only one other D&D game going on at that time. Of course I joined, but I also realized there was room for another DM to run a game. 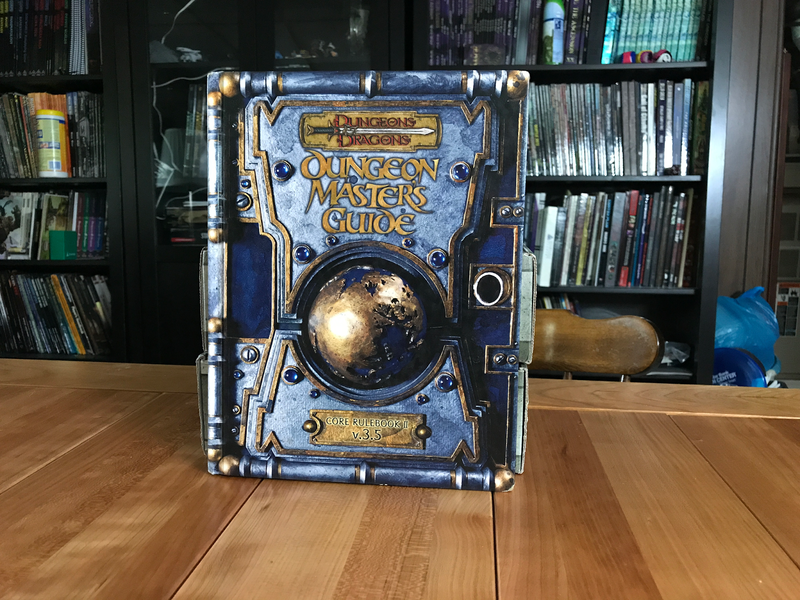 I started running D&D every week, and I basically didn't stop for the next five years. During that period, D&D added a period of its own in the form of the 3.5 revisions. I pretty universally agreed with the changes made to the game and incorporated the new version as soon as I got back to school in the fall. I ran games in Ravenloft, Eberron, Krynn, and a long-running game in a homebrew setting I built on the fly. I ran a game using Oriental Adventures that ended closer to a TPK than I've ever come before or since. I kept running 3.5 after I graduated and entered the "real world." More games in Eberron and Dragonlance. An Expedition to Castle Ravenloft. And I played in the longest-running campaign of my gaming career in a friend's 3.5 version of Kingdoms of Kalamar. Measured in hours, die rolls, and International Smile Units, Third Edition has given me more joy than probably any other roleplaying game. I would gladly run it again any time. In fact, I'm thinking about doing just that in the near future, delving into the mega-dungeon of Goodman Games' Castle Whiterock. Dungeons & Dragaons, v. 3.5, is one of my Favorite Games Ever.